This Lesson Guide is intended for use with pupils studying Standard Grade History Unit A - Changing Life in Scotland and Britain Context C: 1880s to the present day. Some of the clips and activities may also be useful for work on Context B: 1830s – 1930s. 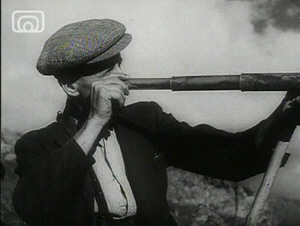 This is an early silent documentary by Jenny Gilbertson, one of Scotland’s film pioneers. It shows a way of life that was shortly to disappear and is an excellent primary source for study of rural life in both the Context B and Context C sections of Standard Grade History Unit A: Changing Life in Scotland and Britain. Clips 1-4 can also be found through GLOW or on the Scotland on Screen website. What are the weather conditions like at the croft? Why do you think the people are working outside? List the jobs that people are doing in the film. Describe how the woman in the film washed the clothes. How does this differ from doing the washing now? What is the woman cutting out of the ground? What will this substance be used for? This is a Ministry of Information and Agriculture film made during World War Two. It can be seen partly as propaganda for the Government, showcasing the care they have taken to support and improve rural communities while their local men are away at war. Describe the landscape in Sutherland. What improvements has the new road to Achriesgill helped to make? What buildings are there in the village? What does the mail cart bring to Achriesgill? In what ways is the crofting community ‘like a big family’? What does the Grazing Committee do? Why are there less children at the school now than there used to be? Why were many crofters driven from their homes less than a century ago? What did the Crofters Act (1886) give the crofters? What improvements have been made to housing, roads and communications in recent years? Describe how the crofters bring in the sheep. Imagine you are a Government reporter and have been sent up to Scotland in 1945 to report on conditions for people living in crofting communities. Use the information you have gained from watching ‘Crofters’ and ‘A Crofter’s life in Shetland’ to write a report on the social and economic conditions of the crofting communities you have seen. You should describe the living conditions, working conditions, transport links and communications and make recommendations for improvements that could be made in the future to make life better for crofters. 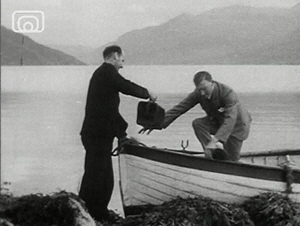 This is a dramatised account made in 1943 about the introduction of the Highlands and Islands Medical scheme following the Dewar Report of 1912. This scheme was a precursor to the NHS and drastically improved access to healthcare for patients in rural parts of Scotland. Previously, people in rural areas had to travel great distances in difficult circumstances in order to access specialist care – or simply go without. 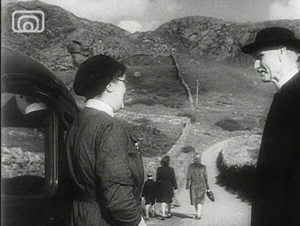 The film was made for the Department of Health in Scotland during WWII, and can be seen as propaganda for the Government, displaying how well the British Government cares for the population at home. Describe the problems faced in getting health care to people in rural Scotland in 1912, commenting on environment, staffing, travel and cost. Why did the Government decide to provide a grant (money) to the Highlands and Islands? What improvements were made as a result of this grant? What does the man mean when he says ‘you have jumped a couple of centuries in a few years’? How is Mrs MacDonald being transported for her treatment in the city? How would she have got there before the introduction of the new medical scheme? Imagine you are working for the Department of Health in 1943. Develop an information leaflet, aimed at telling people in the Highlands and Islands about the new services available to them through the Highlands and Islands Medical scheme. Your information leaflet should be at least two sides long and be clearly laid out. Use the information you have gained from watching ‘Highland Doctor’ plus your own research to complete this task. 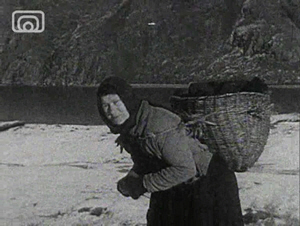 This film is a dramatised documentary about life in a crofting community in 1955, made by SEFA, the Scottish Educational Film Association. It focuses on the life of Kenny, the crofter boy. 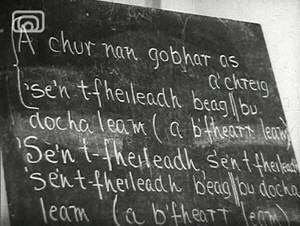 According to the film, in what ways do the crofters make their living? How far away is Kenny’s school and how does he get there? What are the children learning in school? How does this differ for boys and girls? Class Debate.‘Should boys and girls learn different subjects at school?’. 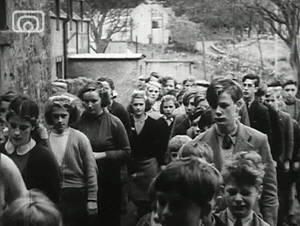 Using the information from the film on the gender division in schools and in working life in 1955, the class should divide into two halves to prepare arguments on whether or not boys and girls should learn different subjects in school. As part of this, they should discuss whether much has changed in social and working life since 1955 for men and women. After researching and preparing their arguments, they should engage in a whole class debate on this question. This lesson guide was prepared by Olivia Drennan.